Within 7 seconds your tangles will be gone and your hair will start to feel alive again thanks to Unite's 7SECONDS Condition Leave-In Detangler. Nourished and fortified with the perfect balance of light protein and moisturizers. 7seconds seals the cuticle and protects your hair all day long. A must for chemically treated hair and as a UV and thermal protector for all. 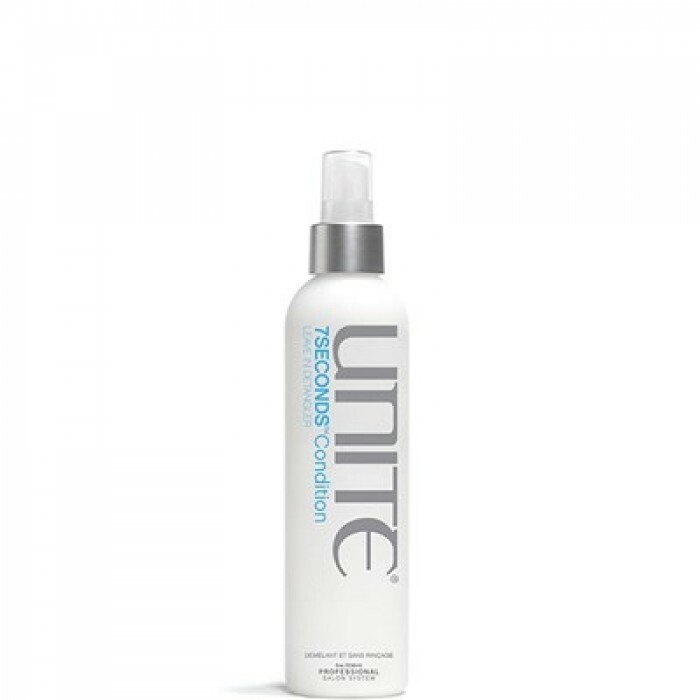 Shampoo and condition with your favorite UNITE Daily System. Spray about 4 to 6 times throughout your hair. Comb through; do not rinse. Follow with your favorite UNITE styling and finishing products to achieve your desired finished look.